WORCESTER — They were kidnapped and murdered in Iraq, persecuted because of their ancient Mandaean religion and pacifist beliefs that made them easy targets amid chaotic, sectarian violence. 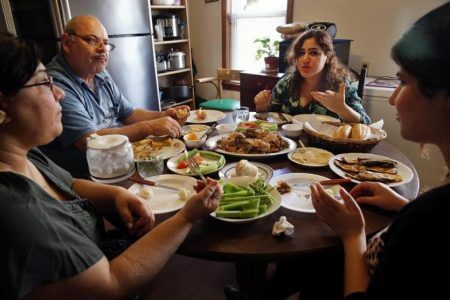 They fled in droves and found an unlikely home in Worcester, where 2,500 refugees now make up what is believed to be the largest Mandaean community in the United States and second-largest in the world outside the Middle East. The Mandaeans have found safety and acceptance since they began arriving here in 2008, freely practicing a monotheistic religion that predates Christianity and Islam. But they still do not have a temple — a “mandi” for baptisms, marriages, and birth and death rituals — and whether one is built could determine if they continue to call Worcester home. “Work is not the anchor, living in an apartment is not an anchor, the mandi is the anchor,” said Wisam Breegi, a leader of the Mandaean community. Mandaeans graduate from a financial literacy 7 week session! The Mandeans are an ethno-religious minority population that originates in Iraq, Iran, and Syria. They were displaced from Iraq after 2003 as a result of extreme violence and persecution. 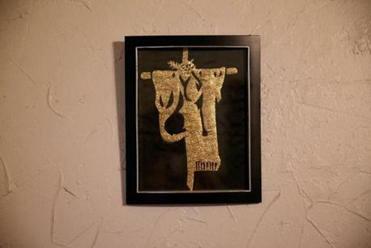 Their Gnostic religion predates Christianity, Judaism, and Islam. Unable to defend themselves due to their pacifist religion, the 60-70,000 adherents were scattered throughout the world. There are about 2,500 Mandaeans in Worcester, MA.